St. Joseph Catholic Cemetery is owned and operated by Catholic Parishes in the city of Evansville: St. Benedict, Annunciation (Christ the King and Holy Spirit) Holy Rosary, Good Shepherd, Nativity, Holy Spirit, St. Joseph, St. Theresa, Holy Redeemer, All Saints (St. Anthony and St. Joseph), Holy Trinity, St. Mary and St. John, St. Boniface, (St. Bonfiace, Sacred heart and St. Agnes) Corpus Christi, and Resurrection. The cemetery has been in operation since 1841, just a few years after the first Catholic Parish, Our Lady of the Assumption, was established in 1837. The original St. Joseph Catholic Cemetery was located northeast of the city in an area that is now bounded by Columbia, Michigan, and Garvin streets. This cemetery was used from 1841-1871.In 1871, a group was organized to lay the groundwork for a new Catholic Cemetery. The original board of directors consisted of representation from Assumption, Holy Trinity and St. Mary parishes. Two main sites were studied for relocating the old cemetery. One was in the area of the present day Johnson Place on Lincoln Avenue and the other, which was eventually chosen, on Mesker Park Drive. When this hundred and fifteen acre plot of land was purchased in 1870, it was located on the far outskirts of the young city of Evansville. In 1872, the new grounds were ready for burials. It wasn’t until 1879 that all remaining bodies were removed from the old cemetery and reburied in the new cemetery. To date, St. Joseph Cemetery is the final resting place for over 37,000 people. The office building, small holding building, and the tool building were constructed in 1917. A garage and maintenance building was built in l963. 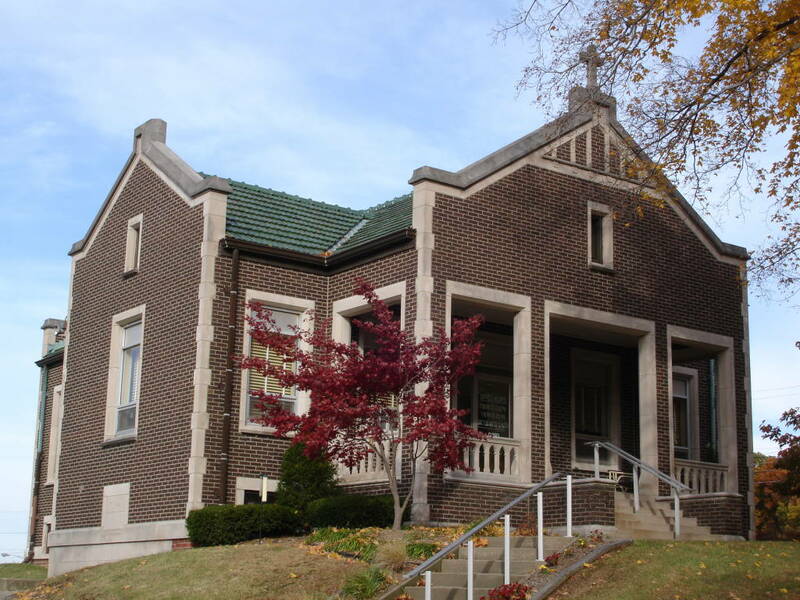 In 1965, the old small tool building was converted into a chapel to be used during funerals. The first mausoleum was built in 1976 with an addition in 1993. In 2004, a new section was added which is part of a twenty year master plan consisting of seven more additions. The display panels of these mausoleum additions feature an iconic rendition of each of the eighteen parishes in the city of Evansville. A conservative estimate gives St. Joseph Cemetery enough in ground burial sites for 250 more years. 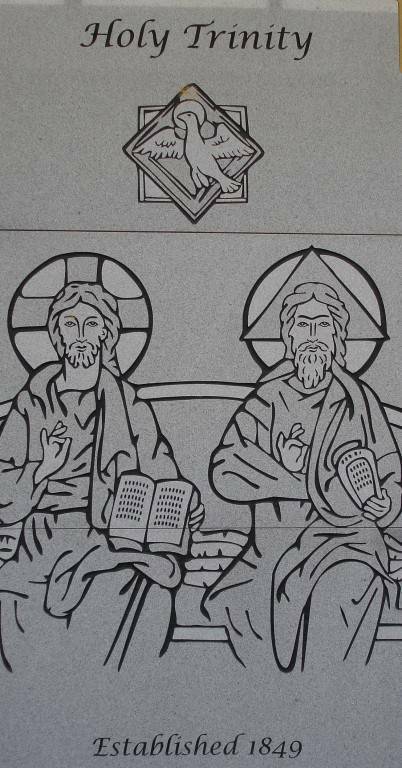 The 20-year mausoleum master plan will allow for more than 10,000 crypt spaces. Our Perpetual Care Fund, set aside exclusively for the care and maintenance of St. Joseph Cemetery’s land and buildings, will protect its beauty far into the future. 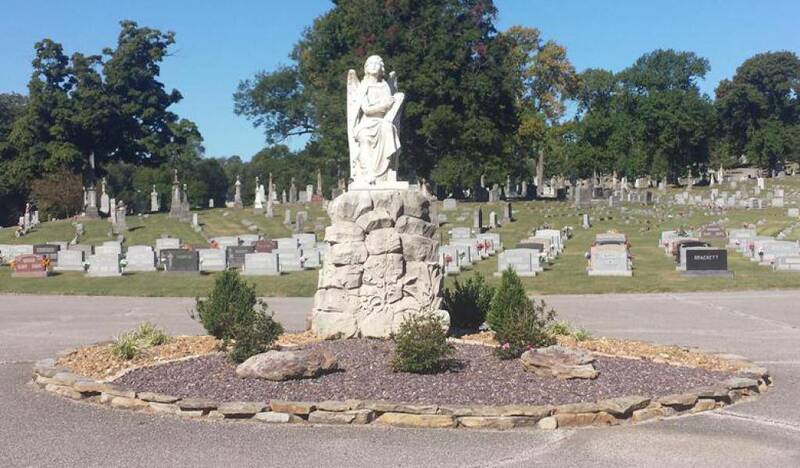 The Statue of St. Joseph, located near the entrance to the cemetery, marks the spot of a mass burial for the unmarked graves from the old cemetery on Garvin and Virginia Streets. This original cemetery served the needs of the catholic community of Evansville from 1837-1878 when new land was purchased on the west side of Evansville. The Garden of the Lambs is the burial site for early pregnancy losses. St. Joseph Cemetery along with the Spiritual Care department of St. Mary’s Medical Center conducts a burial service every three months. This prayer garden provides a special place for the parents of these children to remember and pray for their departed child. It is probably the most visited area of the cemetery. 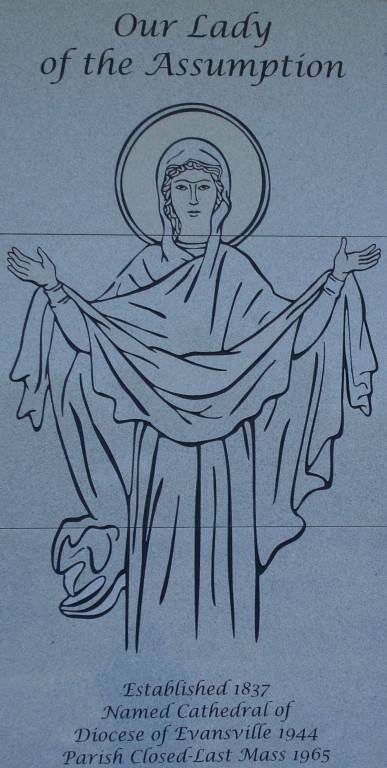 The Project Rachel statue is one of the very special monuments in the cemetery. 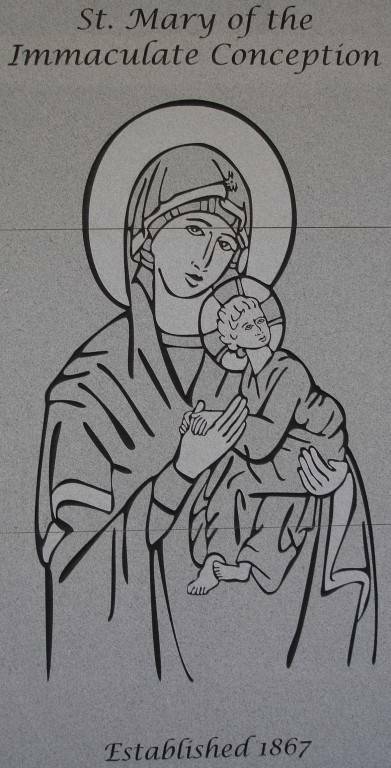 The statue and adjoining prayer area is dedicated to all those whose lives have been affected by abortion. Bishop Grimmelsman, the first Bishop of the Diocese of Evansville, Bishop Shea, the third bishop of the Diocese of Evansville and many first priests who ministered to the people of the Evansville area are buried in what is known as the Priests’ Circle. On the adjoining hillside, many of the priests who have ministered to the people in the various parishes in the Evansville Diocese are buried. The crucifix is also a part of the Stations of the Cross that adorn this area of the cemetery. Deceased members of the Daughters of Charity, Little Sisters of the Poor, and the Poor Clare Sisters are also interred near this area.